Add an elegant sparkle to your event tables with our decorative crystal bottle stoppers. They also make great favors for guests to take home. This classy bottle stopper has a round glass crystal top that is multi faceted, giving it a sparkly prism effect. The bottom of the stopper is silver metal in a chrome finish with a black rubber gasket for a tight seal. A stylish and elegant favor for any grand occasion that is sure to delight your guests! 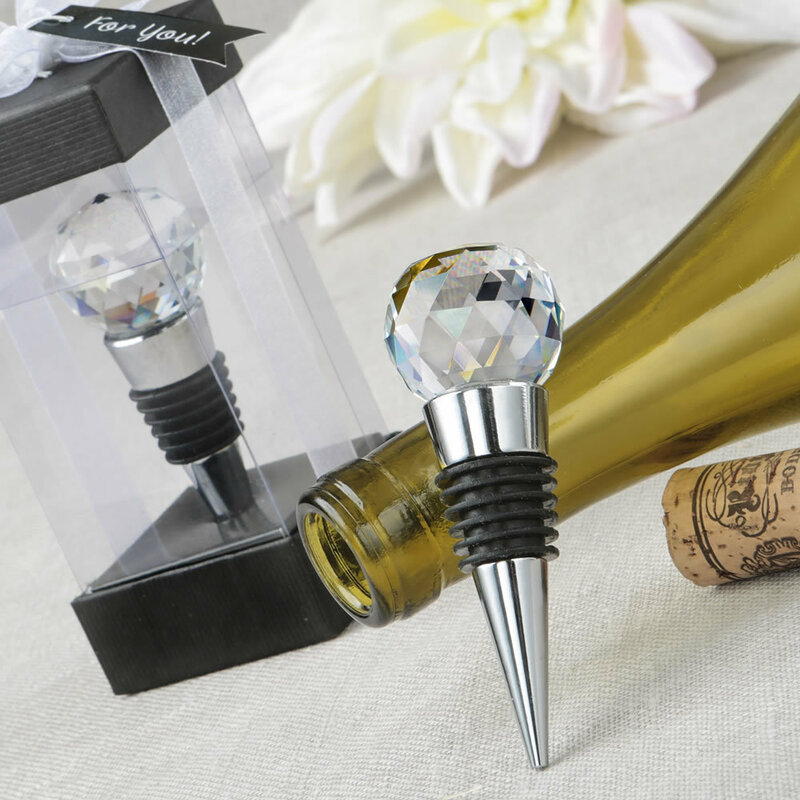 This crystal ball wine stopper is perfect as Fairy-tale Wedding Theme Favors!